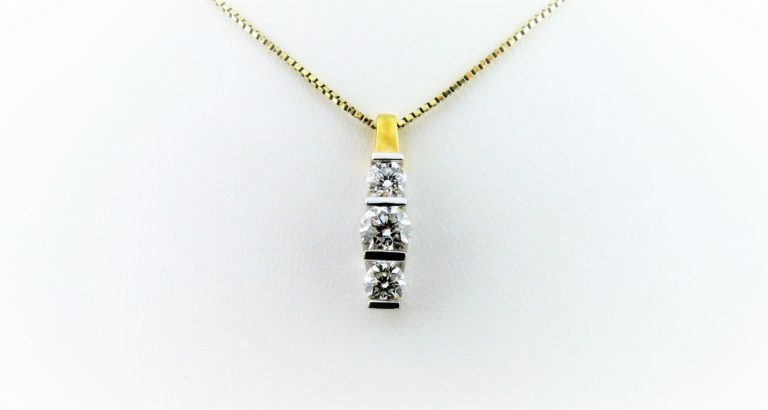 Two tone 14kt gold pendant with 3 bar set round brilliant cut diamonds, total weight 1.06 carats. F/G color, VS clarity. 14kt yellow gold box chain included in price.